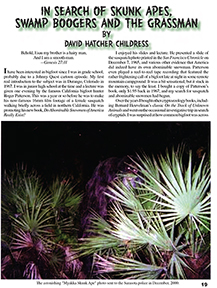 In Search of Skunk Apes and Swamp Boogers by David Hatcher Childress. Published in WEX Magazine Volume 5, Issue 9. Available as an instant Digital Download.